The Centers for Medicaid & Medicare Service’s (CMS) recently released 2018 Final Payment Notice for Medicare Advantage (MA) and Part D programs brings better than anticipated news for health insurers. Overall, CMS didn’t stray very far from February’s Advanced Notice, and the changes that were made represent wins for health insurers. 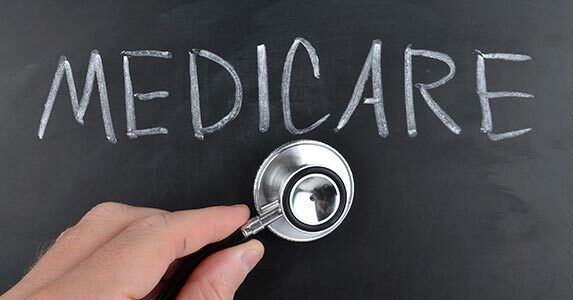 CMS set the final average rate increase for Medicare Advantage plans at 0.45 percent, a slight increase from the originally proposed 0.25 percent. After adjusting for differences between fee-for-service and MA diagnosis coding, Medicare Advantage plans will see an average payment rate increase of 2.95 percent, up from the estimated 2.75 percent laid out in the February notice. The increased revenue is obviously good news for Medicare Advantage plans specifically and is a bright spot for an industry that is dealing with significant uncertainties brought on by the Trump Administration’s – so far unsuccessful – attempts to repeal and replace the Affordable Care Act. The potential for volatility certainly remains in the Exchange markets; while the ACA is still “the law of the land,” the Trump Administration has been vague about whether it will continue to supply the federal funding the ACA needs to function successfully. Insurers are pushing for clarity, and the industry is lobbying hard to keep the ACA’s necessary cost-sharing agreements in place. Against this backdrop, CMS Administrator Seema Verma’s statement in the announcement that “Medicare is committed to strengthening Medicare Advantage and the Prescription Drug Program by supporting flexibility and efficiency” is a welcome signal of both the federal government’s continued support for and the strength of the MA program. CMS, citing stakeholder feedback, is further pulling back on the use of encounter data to determine enrollee risk scores. In the Advanced Notice CMS signaled its intention to slow the move to basing risk scores 100 percent on encounter data by 2020 by proposing to remain at the 2017 ratio of 25 percent EDS and 75 percent RAPS data (rather than increasing to a 50/50 blend). The final notice slows the phase-in even further by reducing the risk score ratio, setting it at 15 percent EDS and 85 percent RAPS. This change represents another win for insurers. A chorus of industry associations, including the American Hospital Association and AHIP, has been voicing their opposition to any use of encounter data. That opposition grew even stronger after the Government Accountability Office published a report in January of this year that indicated the Encounter Data System was too often inaccurate to be reliable. Taking all of this together, I continue to firmly believe that the trend to value-based care will continue, despite the current political uncertainties. It is the future of the U.S. healthcare system. While CMS’ three-month delay to the start and expansion of some mandatory bundled payment models bears watching, there is little to substantively indicate the Trump Administrations is planning to broadly turn away from value-based care. Risk adjustment is, of course, the key payment mechanism for value-based models, and health plans should expect CMS to continue to modify its risk score calculation to account for a changing marketplace. Successfully managing risk is challenging and will only get more so as coding models get more complex. Health plans must continue to invest in new ways to improve their risk adjustment programs, including implementing technology-enabled solutions that can help increase coding accuracy and productivity. Solutions that leverage patient data analytics and machine learning can reduce costs, improve financial performance, better engage providers and help health plans fulfill their mission of delivering high quality care and better health to their members. 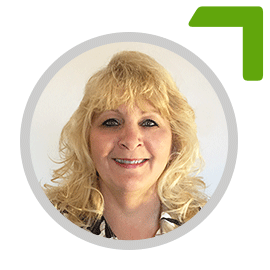 Marilyn Garry, RN, BSHA/HM, CPC, CRC, BLS, ACLS, is Senior Director of Risk Adjustment & Quality at Talix.